15% Student Discount at lookfantastic Check out the deals and discounts available for students at lookfantastic! 25% Off 2 or More Grow Gorgeous Orders at Lookfantastic Get 2 or more from the Grow Gorgeous range at Lookfantastic and get 25% off your order. £10 Off Beauty Egg Collection with Beauty Box Subscription Orders at lookfantastic Get an amazing saving at lookfantastic when you subscribe to their Beauty Box. 15% Off First ESPA Skincare Orders at lookfantastic If it's your first time ordering from lookfantastic, get 15% off when ordering ESPA Skincare! £5 Credit With Friend Referrals at lookfantastic Get your friends involved and get £5 for referring them, and they'll get discounts too! 22% Off Mio Skincare Orders at lookfantastic With a massive range of skincare products to choose from, this code is one you'll want to use! £15 Off Beauty Box Orders at lookfantastic Worth over £60, these boxes are an absolute must for the makeup enthusiasts of the world! lookfantastic launched in 1996 and immediately became one of Britain’s best online beauty boutiques. With over 14,000 products from more than 350 brands, lookfantastic is guaranteed to have something to suit you. Their stock is handpicked by a team of dedicated experts who get regular training directly from leading brands, and you’ll find your Estee Lauder, GHD and Elemis favourites here - and many more. lookfantastic has been expanding from day one and now includes a number of Salons across the country ready to give your hair the care it deserves, and even 2 high street stores where you can browse their selection in person. But the online shop is the flagship store, and with half a million unique visitors per month, you can shop in confidence at one of the most trusted beauty sites on the market. With constantly changing ranges and campaigns, there’s always something new to seek out and with their ‘Trending Now’ selections on every page, you can keep up to date with what’s hot right now. 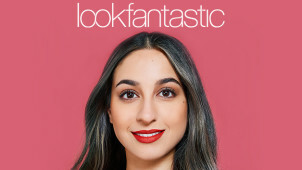 How do I use my lookfantastic discount code? The lookfantastic Outlet has up to 40% saving on top brands. Click here to grab yourself a bargain! Is there a lookfantastic salon or store near me? You’ll find their salon and store locations listed on their website. Can I buy lookfantastic vouchers? Yes you can! They have a range of gift vouchers and Beauty Box subscription cards listed here. Is there a newsletter I can sign up to get lookfantastic updates? There is! You’ll find the sign-up form at the bottom of the home page on their website. What payment options are available at lookfantastic? As well as all major credit cards, lookfantastic also accepts payment through Klarna. With Klarna, you can shop the range as usual, but you don't have to pay anything for 30 days after your order is dispatched - you'll receive a reminder a few days before due date. Just choose Klarna as your payment option at the checkout! You can return an item within 14 days of its receipt, goods must be unopened, in original packaging and in pristine condition. Contact customer service to arrange a return. Lookfantastic salon and store opening times vary, see website for details. Want to look and feel fantastic? lookfantastic is the place to start for those feel-good products that will make you feel like a new person! Shop for you or treat someone special with a lookfantastic voucher code to get top quality beauty products at discounted prices online. Whether you’re after hair products or make-up, fragrances or skincare, lookfantastic has an incredible selection of your favourite brands to order from today. The online store is packed with beauty bargains so you can look great and feel great for less! lookfantastic has an amazing range of bodycare products to make your body the best it can be. From bath and shower care for a fragrant and fresh cleanse, to targeted care that gets to work on dry skin, supplements and self-tanning - there’s something here for everyone. lookfantastic stocks your most trusted brands including St Tropez, Bliss and Molton Brown so you know that body-confidence is just around the corner. Browse the Winter Sale for some last minute treats, and with goodies from fabulous brands available for less, you'll feel like a new you in no time! lookfantastic’s Beauty Box brings you a monthly bespoke selection of products taking the hassle out of your makeup shop, and a lookfantastic discount code will save you even more on your bundle. Simply choose your subscription and receive a monthly gift of expertly curated brands especially for you. From only £13 a month, your box contains a range of lookfantastic’s best items from top brands and is guaranteed to be worth more than £50. Give yourself a treat or gift someone else and try something new with a Beauty Box today!